The team at Fantasy Flight Games have a reputation for releasing innovative games, and at the Game Developers Conference in San Francisco next month you'll have an opportunity to get a firsthand look at the design of one of their newest hits: Richard Garfield's KeyForge! 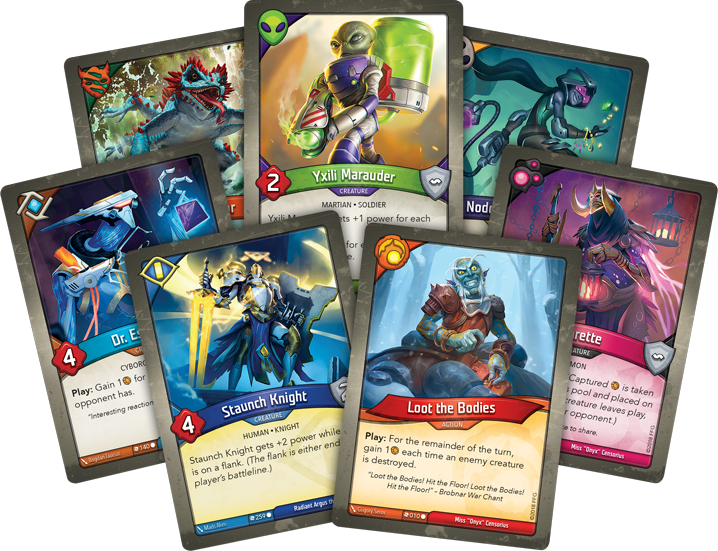 If you haven't heard of KeyForge yet, know that it's a physical, competitive card game like Magic: the Gathering -- but players buy unique decks that can't be modified, ensuring each deck is a unique pre-designed beast. Now, as part of the upcoming GDC 2019 Board Game Design Day, Fantasy Flight's own Brad Andres will be presenting an intriguing talk all about "'KeyForge': Creating the World's First Unique Deck Game." It's a unique opportunity to learn about the challenges involved in designing and developing a unique deck game and working with a new genre of game. Andres will also walk you through some of the internal systems that Fantasy Flight has employed to make a game like this possible, and offer some practical lessons learned that you can apply to your own game design work! It's just a small part of the Board Game Design Day, a full day of talks about tabletop game design that helps kick off the show (along with a smorgasbord of other great Bootcamps and Tutorials) during the first two days of GDC!